Her name is Aisha Mazadu Bala, a 14 year old from Gidan Mato Sambirni, Maigana Soba Local Government Area of Kaduna State. A pure Hausa girl from the Christian faith. She is the most recent victim of the incessant forceful kidnapping and conversion of our Hausa Christian girls into Islam which has been going on from time immemorial by the Muslims of Northern Nigeria. Although the lie that is documented all over the world is that all the Hausa people are Muslims with the exception of just but few that are Maguzawas (traditional idol Worshippers), we want to categorically let the world know that such a claim is nothing but lies that was meant to silence the indigenous Hausa Christians Communities that live in millions from thousands of Communities in all the northern parts of Nigeria. The people they refer to as Maguzawa in their lies are the Hausa Christians. Because according to them, perhaps also their teachings, we are infidels as long as we are not muslims even though we are of the same tribe, origin and locality. The situation in Nigeria demands Divine intervention. As Christians we need to unite and cry out to The Lord to intervene in the situation in our Country. The nation is facing on the one hand, the surreptitious, steady, and unrelenting plan to Islamize Nigeria, and on the other hand we have corruption in the highest places to contend with, kidnapping left and right, and many other societal ills. Permit me to begin this presentation by thanking Mr. Emmanuel Ogebe for encouraging me to come to Washington, DC to make this presentation on the Nigerian question which we recognize as conflict between Democracy and Islamism to Nigerians and other Africans in Diaspora that constitute the views of the National Christian Elders’ Forum (NCEF). 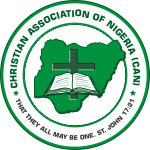 The Christian Association Nigeria (CAN) has called on the Federal Ministry of Education and the Nigerian Educational Research and Development Council (NERDC) to publish the full details of the controversial new Curriculum of Education if they have no hidden agenda. The first escaped Chibok schoolgirls to successfully attend and complete an American High School graduated last night in the United States Capital. The two girls known simply by their first names Debbie and Grace graduated after completing junior year (11th grade) and senior year (12 grade) at a prestigious private international school in the Washington metro area in America. We have lived with this myth for far too long. We have tolerated and accepted this political deception for as long as anyone can remember. But the myth has to be exposed for what it really is. The lie must be consigned to the dust bin. The mask has been removed. For too long people speak of Hausa-Fulani. The truth of course is that the so called Hausa Fulani as a person or human being does not exist. You cannot be Ijaw-Igbo, or Hausa-Gwari. You are either an Ijaw or an Igbo! As closely related the Isokos and Uhrobos are you cannot have an Isoko-Uhrobo as a person. Egbas and Ijebus are within the same linguistic bracket, but you do not have an Ijebu-Egba. You are either Ijebu or Egba. In the same vein you are either Hausa or Fulani. You cannot be both! On 15th April 2017, at about 7:00 pm, an attack was launched by Fulani militias in Asso village, Jema’a local government area of Kaduna state. The attack came when the people were in the church for Easter vigil celebration. The killers took advantage of the event by sporadically shooting at the faithful killing at least 12 persons on the spot with many injured.